Jaipur, March 25: Kings XI Punjab opener Chris Gayle scored a fifty in an opening encounter with the Rajasthan Royals at Sawai Mansingh Stadium giving a solid start to the visitors. The flamboyant West Indian batsman scored the half-century with a strike rate of over 150. 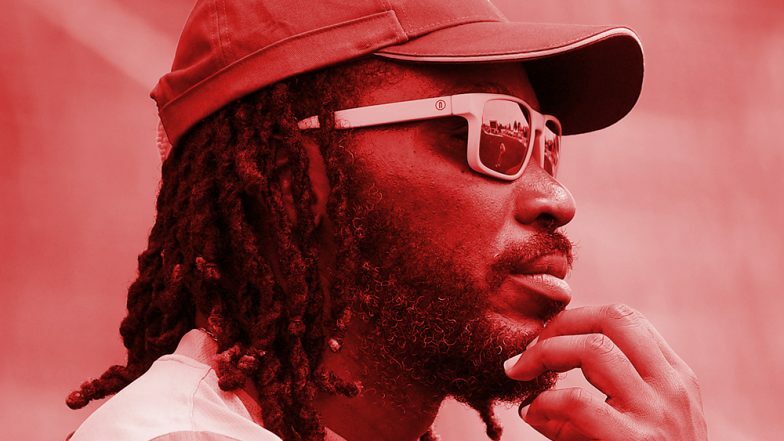 In his inning, Gayle scored eight fours and four sixes. He scored 79 runs in just 47 bowls. With this inning, Gayle also became the fastest batsmen to reach 4,000 runs in only 112 innings. After KL Rahul got out cheaply, Gayle along with Mayank Agarwal anchored the innings. Gayle played a dominant role in the 50-run partnership with Agarwal and made sure that the run rate should not dip. He continued to attack the bowlers after Agarwal departed. The West Indian Batsman was dismissed by Ben Strokes. KXIP 144/3 in 15.5 Overs| RR vs KXIP, Live Cricket Score of IPL 2019 Match.